Have a look at the sample programme. A final programme, reflecting developments in the field, will be published later. The course will be led by Michael Rundell, Miloš Jakubíček and Vojtěch Kovář. The programme will include a guest lecture, the lecturer is to be announced. 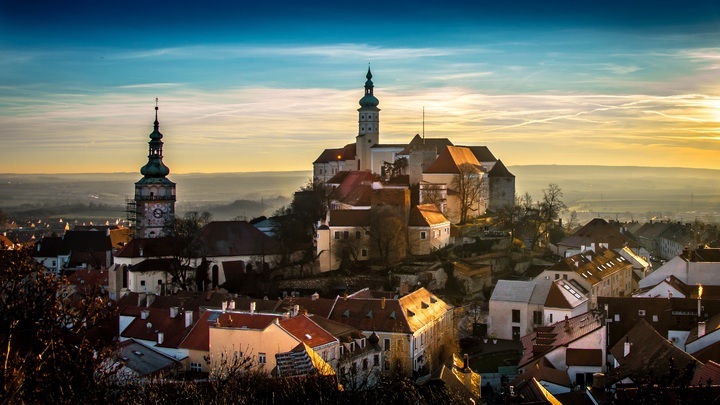 The Workshop will be held in Hotel Ryzlink in the suburbs of Mikulov, a small town close to the border between Czech Republic and Austria, in a renowned wine area. The hotel is located in the immediate neighbourhood of vineyards and under the Holy Hill nature reserve. The fee includes 1-year access to Sketch Engine, tuition, 5 lunches and refreshments during coffee breaks. Accommodation can be reserved during the registration. Participants are responsible for their travel expenses and other costs. Participants must register and pay by 15th March 2019 at the latest to qualify for the early bird discount. Participants from these countries qualify for the mid- and low-income country discount. Participants from the same institution or company will receive a 30 % discount for the second and any additional participant. Cancellations received before 15 April 2019 will be refunded in full, minus the cost of EUR 50 processing fee. Cancellations received between 16 April 2019 and 30 May 2019 will be subject to a 50% cancellation fee of the registration costs. No refunds are generally made for cancellations received after 1 June 2019 except in very special and unforeseen circumstances. All cancellations must be sent in writing via e-mail to info@lexicom.courses. The organizers reserve the right to cancel the event before 15 April 2019, in which case participants who have already registered will be entitled to a full refund. Rooms (with breakfast) will be available at the venue. Accommodation is not included in the price and can be reserved during the registration. Participants can also decide to book accommodation themselves. Accommodation is available in the venue’s premises (Hotel Ryzlink) for the price of 59 € per person and night, including breakfast and VAT. You can book a five-night stay for 295 € during the registration. The collection point for participants will be in Brno — from there an organised transportation by bus will be provided on Sunday 23rd at 6pm to the venue in Mikulov and on Friday 28th back to Brno (expected arrival 5pm). Brno can be reached either through its own airport (flights to London and Munich) or via Prague (2,5 hrs by bus or train) or Vienna (2 hrs by bus or train).